Hello, world! 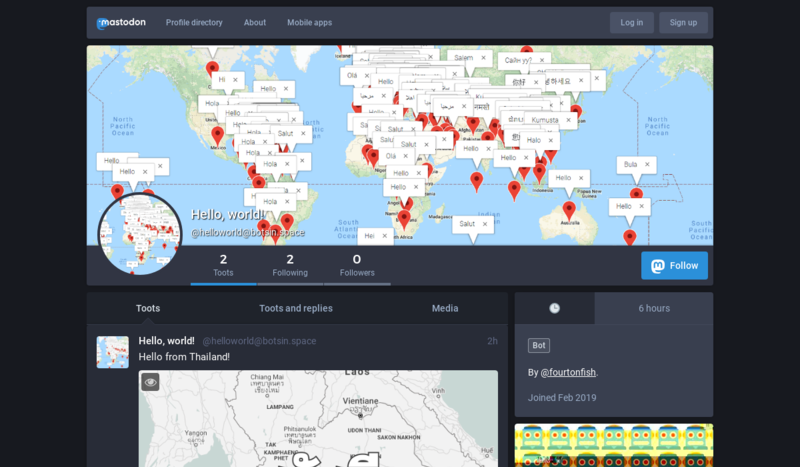 is a Mastodon and Twitter bot that posts the translation of the word “hello” superimposed over an image showing the country’s map. It uses the Hello, salut! database, which can also be seen visualized in another project by the author.